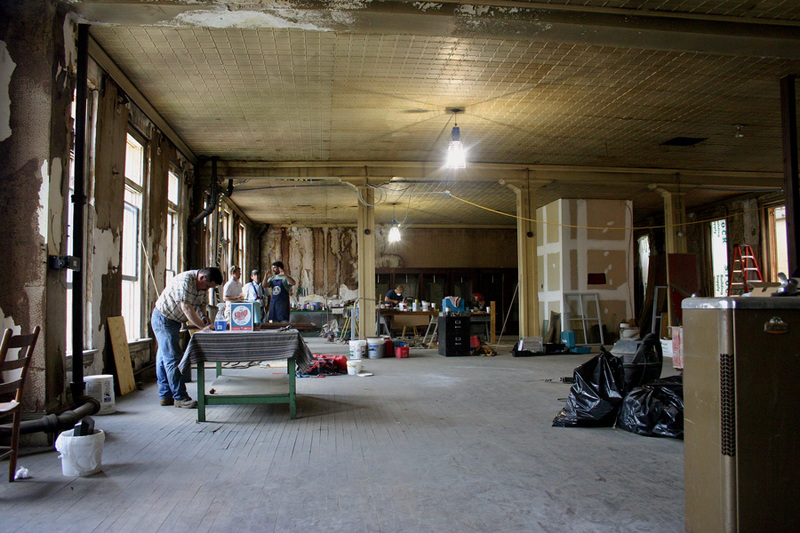 Empire’s latest venture in historic preservation/adaptive use is the current rehab of the former G&S Department Store on S. Wilmington Street. 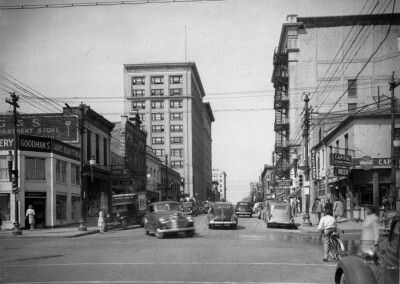 The first block of E. Hargett St. as it appeared in 1946. The main entrance to the G&S Department Store is on the left. 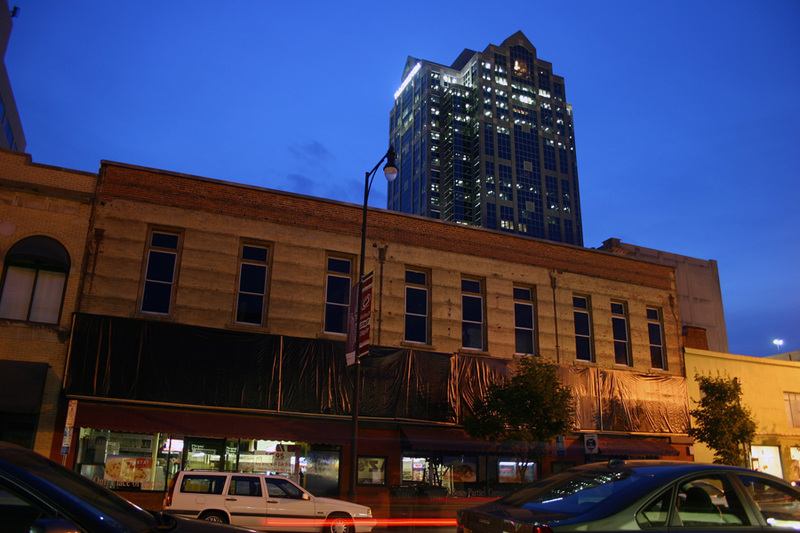 The G&S Department Store building, like many of Raleigh’s downtown commercial structures, has had a long and evolutionary history. Actually, the department store building, located at 206-210 S. Wilmington St. and 16 East Hargett St., comprises four separate 2-story brick structures. 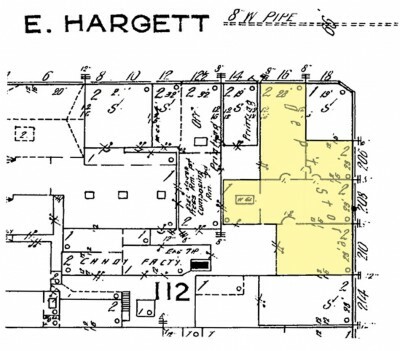 Although long-since consolidated into a single structure, the earliest two of the four appear on Shaffer’s 1881 Raleigh property map; these are at addresses 16 E. Hargett and 208 S. Wilmington. The Sanborn insurance maps indicate that by 1896 210 S. Wilmington had been built, and that by 1909 206 had been erected. Thus the complex of four, two-story brick buildings was assembled. 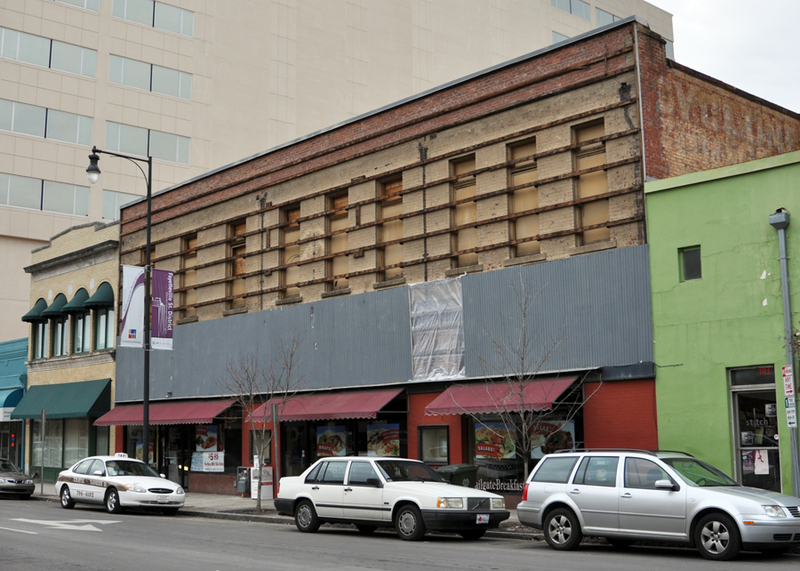 The four contiguous buildings that comprise the G&S Department Store are seen in the 1914 property map above. (Image courtesy Sanborn Insurance Co.) Below is the recently revealed facade of the Hargett St. main entrance. 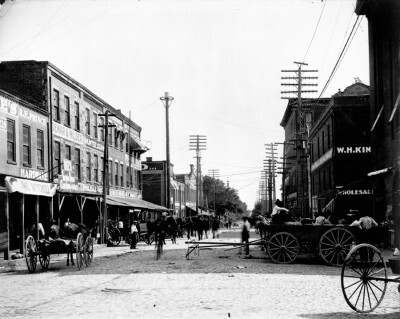 During these early years (1881-1909) the buildings were occupied variously by groceries, dry goods, a restaurant, a liquor store, a barbershop or two, and several clothing stores. Also during this time an emerging Jewish mercantile class was growing to prominence within Raleigh’s business community. Familiar names included Kline, Lazarus, Seligson, Goodman, Horwitz, Neiman and Ellisberg. The associated businesses were primarily drygoods, jewelers and clothiers. Among these early entrepreneurs was Jacob Kline. In 1909 Kline opened a men’s clothing store he called the “Klondike Store,” at 210 S. Wilmington St. His new business was next door to Ike Seligson’s “New York Bargain House,” also a clothiers, which had opened in 1899. By 1913 Kline had formed a partnership with Goodman Lazarus, and the two businessmen opened Kline and Lazarus Co., purveyors of “clothing, dry goods, shoes, men’s furnishings, and ladies ready-to-wear” — or in other words, a department store. The new enterprise consolidated all three S. Wilmington St. buildings (nos. 206-210). Curiously, the main entrance to Kline and Lazarus was as at 16 E. Hargett. Apparently, to reinforce the image of a unified block on Wilmington St., the three individual two-story red brick storefronts were painted a buff yellow at some point*. 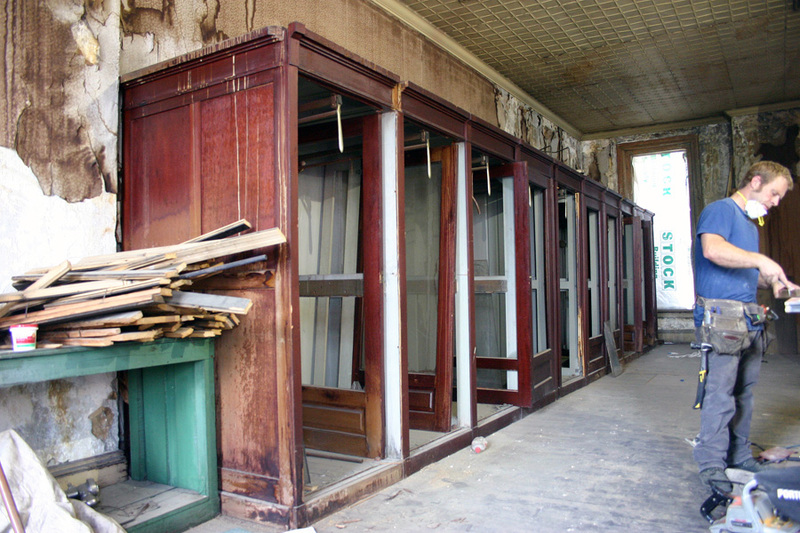 A metal cornice (since removed) stretched above the second floor of all three. The Kline and Lazarus department store flourished on Wilmington and Hargett Streets for the next 17 years. In 1932 Louis Greenspon and Morris Satisky acquired the former Kline and Lazarus building and opened the G&S Department Store. Again, the main entrance was listed in city directories as 16 E. Hargett, while 206-210 S. Wilmington continued to be designated as the “side entrance.” G&S became a familiar downtown Raleigh landmark for the next 25 years. However, as larger, “modern-style” department stores such as Hudson-Belk, Taylors, Charles, Boylan-Pearce and Effirds began to dominate Fayetteville St. in the 1930s and 1940s, smaller, old-time, “back-street” businesses such as G&S were being edged out. In 1952, G&S was being run by the second generation of the original founders. It was probably around this time that the blank, gray metal front, which has recently been removed, was erected to cover the painted yellow buff brick façade*. But sadly, in 1956, the department store closed. 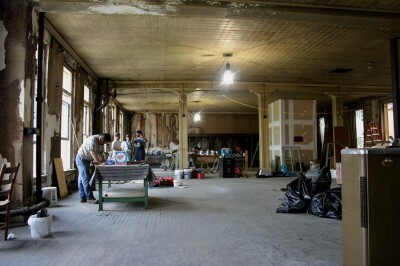 Exposing the facade of G&S last fall. * (Photo courtesy The Raleigh Connoisseur, by Leo Suarez) Below is the view a few nights ago. 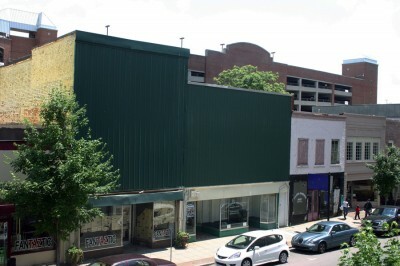 Through the decade of 1960s many of downtown’s aging commercial buildings were covered in boring metal or concrete false fronts in an effort to make them look more “modern.” It was a futile attempt to appeal to downtown shoppers, as suburban shopping centers such as Cameron Village and North Hills were growing in popularity at the time. 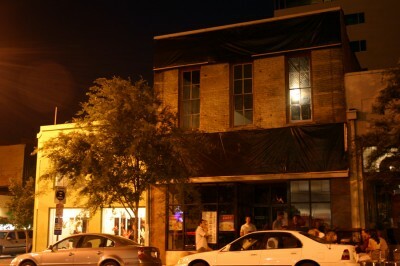 Many downtown 19th century commercial buildings were covered up in the 1960s. These are across Wilmington St. from G&S. Among the structures so-masked were the Raleigh Times and the Carolina Trust buildings, the Ambassador Theater, and the Masonic Temple building (thankfully the street floor only). 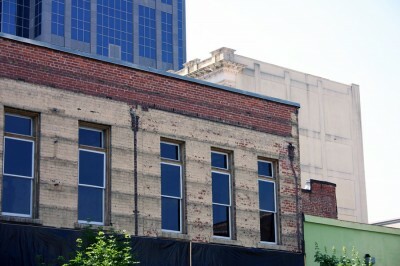 Now, in the 21st century, urban preservationists and sensitive developers are looking beyond the false fronts and seeing the remnants of Raleigh’s early architectural history which lie hidden behind them; such is the case with the current rehab of the G&S Department Store. Many thanks to Empire Properties for taking the lead! Reno in progress! And revealing the future. These cabinets were installed as dressing rooms for patrons to try on the latest haute couture. Reno work underway on the second floor. 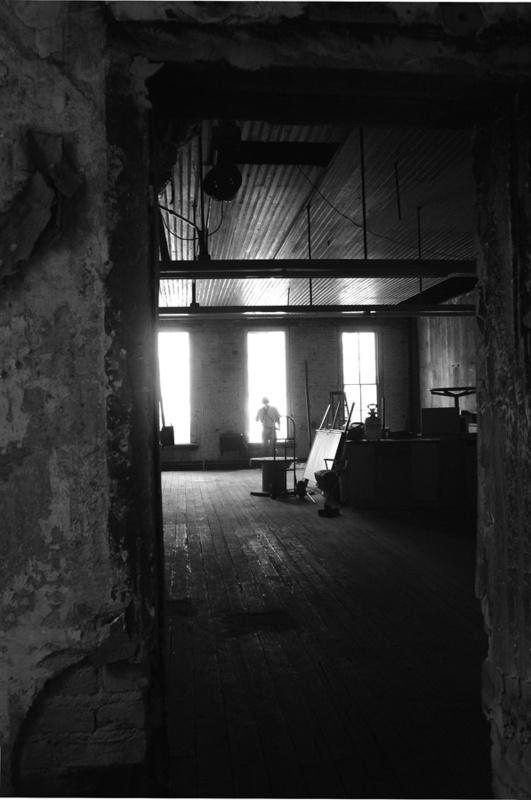 A peek into the second floor of the Hargett St. wing. Hundreds of discarded coat hangers in the basement. *Interestingly, when the 50 year old metal cladding on G&S first began to come down, the exposed surface first appeared to me as buff-yellow brick. Not until after I began photographing the building did I realize the color was not brick at all — it was paint. Beneath the yellow paint is red brick. My guess is that this paint is the only coat, as there appear to be no underlying layers. So, perhaps the yellow paint was applied as the surface treatment by G&S in 1932. And perhaps if its historic authenticity can be confirmed, Empire Properties will consider restoring this feature of the building, as well. Great article! 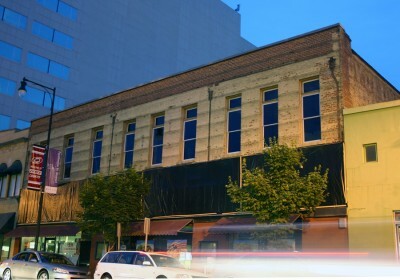 What is Empire planning to do with the space once renovated? Wonderful. I stood at the corner last weekend and watched workers remove the wooden supports for the facade for what seemed like 30 mins. So good to know the history behind this building. good work buddy. i’ve been eyeing the store-front on hargett for years now wondering what was above the brass grill. 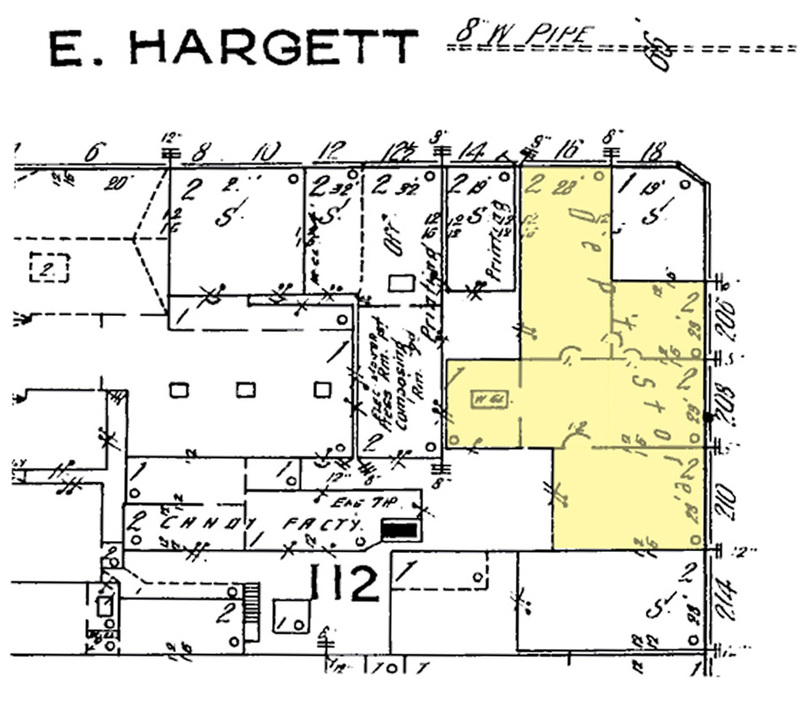 it’s also a little known fact that hargett and wilmington had such a jewish upbringing. you left out the Pizer name, too. that name still grazes the tile entrance at the Times. pretty cool stuff! What was the reason back in the 60’s to cover up the upper floors of these old building with ugly metal covernings? Great stuff! Here in Tucson, as in a lot of cities revitalizing their downtown areas, the city preservation office put together a list of facades for improvements. One of the lucky chosen was the original Montgomery Wards, designed by local architect Roy Place (take a look at the Pima County Courthouse photos, Tucson AZ, beautiful)in 1929. In the 50’s it was taken over by Walgreens and this ugly facade was put up over the intricate stone work, which was done in a lot of downtowns during the modern architecture period. They’ve got the 50’s facade down, and a local artist is reworking the original 1929. Unfortunately I believe the rent is so high that we can’t get anyone into the building. 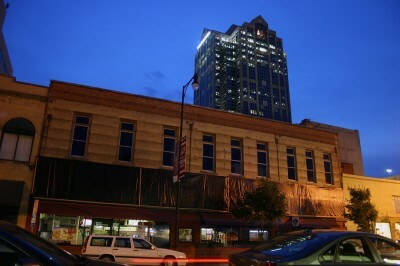 Its good to see Raleigh (and specifically Empire) doing such a great job to revitalize some great old buildings. 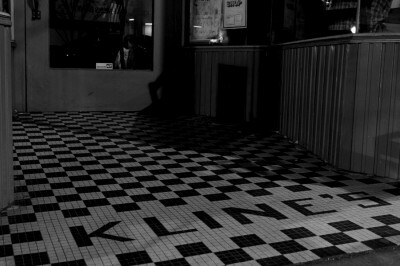 Love the tile work in the entrance as well, I’ve got photos of the ones still in downtown. Thanks for the great read! When I moved to Raleigh six years ago, I could never put a finger on precisely what was wrong with the look of our downtown. And quite simply, the history has been covered up. Now I’ll be on the lookout for those covered facades; imagining what lies beneath, hoping someone will let those secrets out again. I had no idea that the reason so many of our buildings look weird is because the original architecture was covered up. 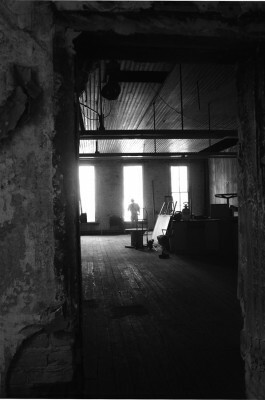 I love looking at these pictures and learning about the stories behind the buildings. Great to see that companies are taking steps to bring back the beauty of the older areas of town. So glad to see that ugly facade torn down. I used to eat at BB&Y (Bagels, Burgers and Yogurt) that was in ground floor (what eventually became Brass Rail) when I first started working downtown on Hargett St in 1988. Great story. I always wondered if there was a some connection with historic mercantile class and the advent of Oakwood. I couldn’t help but think of a future generation of easily enchanted, quickly distracted public that suddenly developes a hankerin’ for those “beautifully simplistic” faux front building that their grandparents had discribed to them. 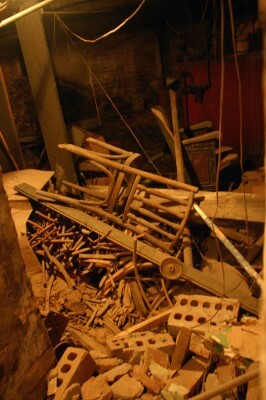 Kind of in the way archiologists spend their entire lives digging through ancient Roman garbage dumps. where a couple dozen patients could sit in the dark and dilate. 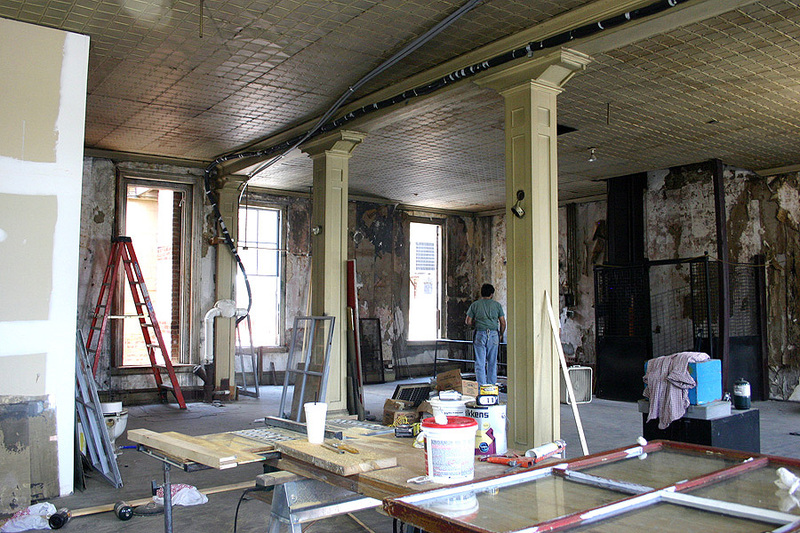 of the books at the old Olivia Raney library, and the clean smell of the new library on Fayetteville St. And the smell of the State Theater. We went there a lot because Mom worked down the street. For a while there was a balcony door to the left of the box office, “colored only entrance” painted in disintegrating script on the door’s glass. I always wondered how the balcony people got their popcorn. My mother’s business was in the Raleigh Furniture bldg. on W. Hargett.I wonder if anyone remembers the bowling alley upstairs. Freaky. Entertainers doing a gig at Memorial Auditorium (in particular Peter, Paul and Mary) would ride the lobby elevator up to the lunch counter at the bowling alley for a pre-show bite. Mainly I saw backup musicians going up there. Sometimes they came into the shop to use the phone. 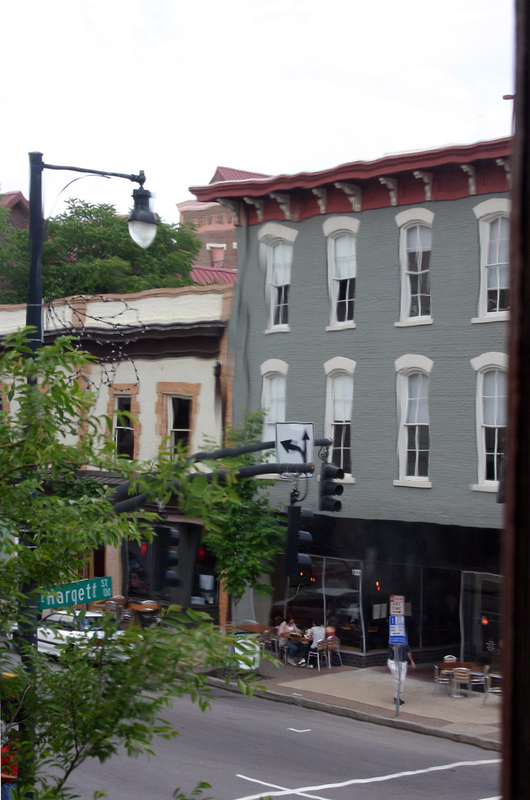 A lot of my life was spent downtown, wandering and observing. I’ve forgotten more than I remember. 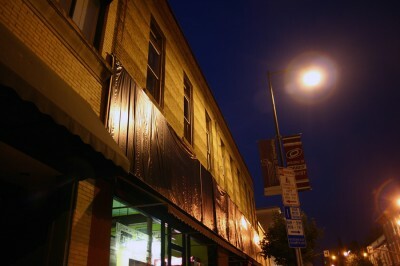 This is great blog post on the building that we (Coalmarch) is now in! 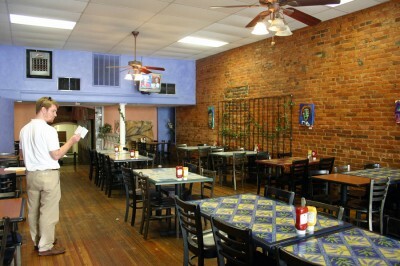 I want to feature this blog on our website to highlight one of the reasons we chose this space. Would you like to catch up via email and discuss? Maria: Glad you enjoyed my post! I have additional photos of the building you may be interested in — will send you a private email. I was very interested in finding out some history of the G and S store as I have a chair made by Pelham Shell and Leckie that I own that was purchased from G and S at 1919 Bell St in Montgomery, Alabama with original tags on the underside of the chair giving item number, stock number, type of finish and type of fabric. I received it from a friend and am curious as to its age. It’s in excellent condition. Can you help? 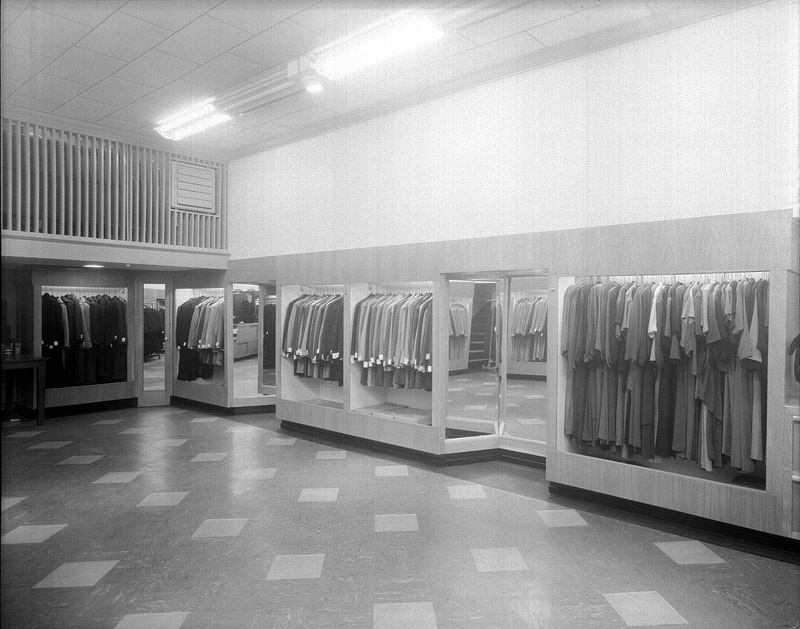 Judy — G&S was a locally owned, Raleigh, NC department store that opened in 1932. They specialized in men’s and women’s fashions. I don’t think they sold furniture. Try googling ‘G and S Bell St Montgomery Alabama’ and see what turns up! Hey Raleigh Boy, for all the Raleighites and GNR readers who are at least 60 years old, I want to let them know about the Friday Night Sockhop from Greenville, N.C. It is hosted by John Moore. He is one of us in terms of the music. The show can be streamed from http://www.1079wnct.com. Listeners are transported back to the days of yesteryear. We go all the way back. Jacob Kline was my great grandfather and this is amazing to read this article about his past. 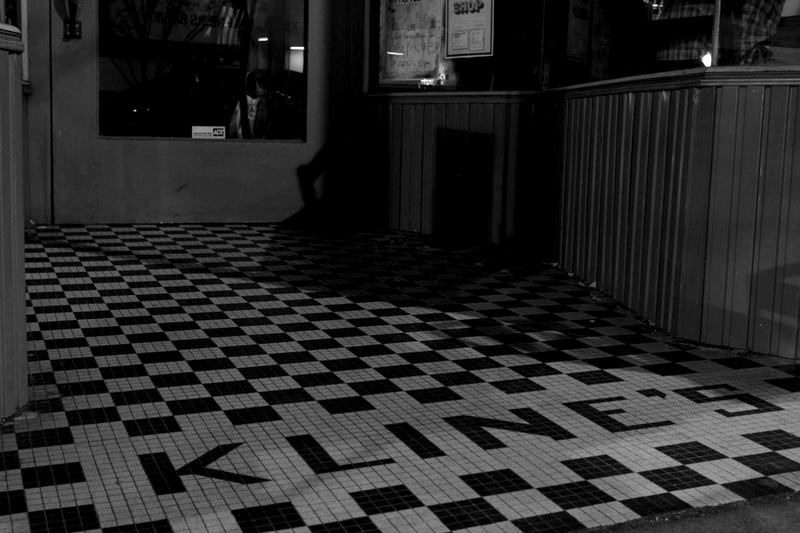 My Grandfather was Frank Kline, Jacob’s son. My brother is actually named after Jacob. It is really great to read the history, and know that he played such a large part in that community. Any more information that anyone has would be great. My mother and I were actually looking at picture of Jacob Kline that we have just yesterday.